"Laughter is a state of mind." This move has an all star cast including Robin Williams, Joan Cusack, LL Cool J, and Jamie Fox. 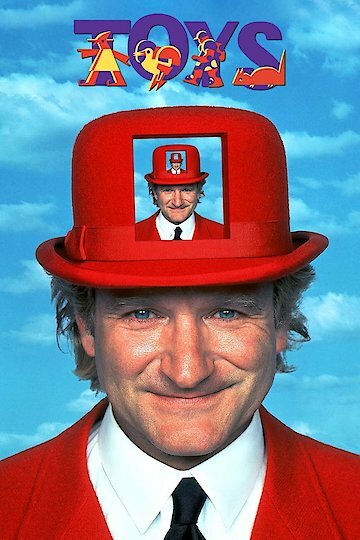 The fun loving Leslie, played by Robin Williams, inherits a large toy company upon his father's passing. Leslie, who is unwilling to give up having fun for the pressures of runnings a business, allows his uncle to start running the company. Before long Leslie discovers that his uncle has started to make weapons out of the toys, with the intention of having children operate them for the military. Will Leslie, be able to find the courage to stop his uncle from distorting the innocence of Zevo toys? Toys is currently available to watch and stream, download on demand at Hulu online.